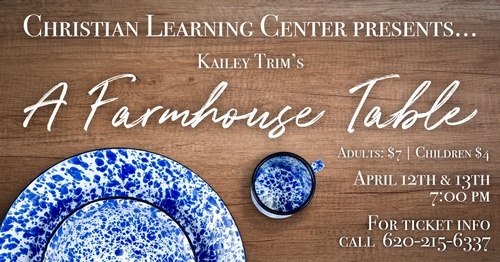 Don’t miss the premiere of “A Farmhouse Table” written by Fort Scott’s very own Kailey Trim. Students from the Christian Learning Center will perform the play. To purchase tickets call CLC at 620-215-6337. 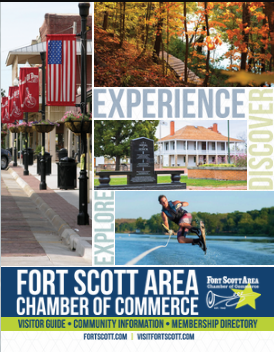 Show times will be at 7 pm on Friday, April 12th and Saturday, April 13th. Tickets are $7 for adults and $4 for children 12 and under. Hurry, there are only two presentations of this heartfelt production and seating is limited.